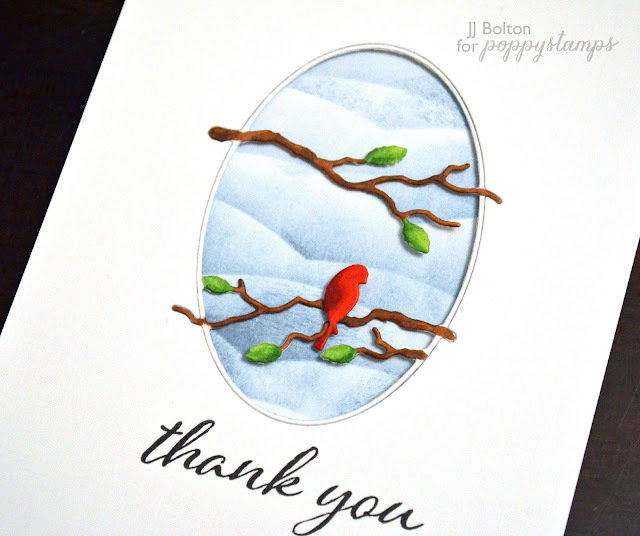 Stop by the Poppystamps blog to check my wintery cardinal card! Love your beautiful inked background and beautifully shaded cardinal! How do I get so far behind on your blog...I don't get it! This is really stunning, JJ! I love how the red cardinal pops against the background...such a beautiful winter scene!